Feline diabetes is usually Type II diabetes, while canine diabetes is usually Type I. Unfortunately for cats, Type II is much harder to manage. Cats with Type II diabetes are resistant to the insulin produced by body tissues. Symptoms can include increased thirst, increased urination, weight loss, blindness, vomiting, and diarrhea. Diabetes usually occurs in older, overweight cats and more in males than females. Sometimes there can be something else going on with the cat to cause diabetes, such as cancer, stress, diet issues, or obesity—or it may just be genetic. Blood and urine tests can diagnose diabetes. The most common treatment for Type II diabetes is insulin. There has also been some limited success with pills and diet management. Most cats are on these treatments for the rest of their lives, while other cats have “transitional diabetes.” These cats will be treated for a short time and can gradually be weaned off the treatments. 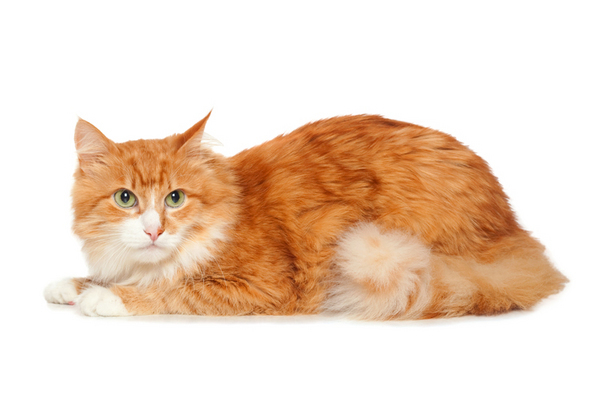 Any diabetic cat should be checked regularly to make sure its glucose level is under control. Owning a diabetic cat can take a lot of time and effort and can be frustrating at times, but the prognosis can be good if the cat can be regulated and monitored regularly.